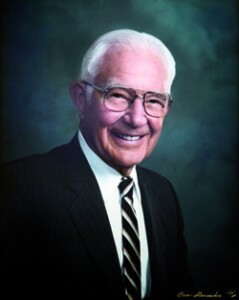 Joseph B. Platt, founding president of Harvey Mudd College, died at home in Claremont on Tuesday, July 10, 2012. He was 96. An accomplished physicist, Platt took the helm as HMC’s founding president in 1956 and led the College through two decades of growth to national acclaim as a premiere engineering, math and science college. After stepping down from Harvey Mudd College, Platt served from 1976 to 1981 as eighth president of Claremont Graduate School and University Center (now Claremont Graduate University). He returned to HMC in 1981 as senior professor of physics where he taught well into his 90s. Platt died peacefully at home after a period of declining health, said daughter Ann Platt Walker. Joseph Platt was born in Portland, Ore. and grew up in Rochester, N.Y. After graduating from the University of Rochester in 1937 with a degree in physics, he continued his work in physics at Cornell University, earning a PhD in 1942. He then went on to his first teaching job at the University of Rochester. During World War II, on leave from the University of Rochester, he worked in the Radiation Laboratory at MIT and put his knowledge of radar devices to practical use for the United States Air Force in the European and Pacific theatres. In 1946, he returned to civilian life and the University of Rochester, but from 1949 to 1951 he was loaned to the Atomic Energy Commission as chief of the Physics Branch, Research Division. Returning once again to his alma mater, he became professor of physics and worked on the design and construction of the 240-million-volt synchrocyclotron. In 1956, Platt received the call to come west and help found a college.  Drawing upon his educational background and prior experiences, plus a multitude of talents, he established Harvey Mudd College and guided it over the next 20 years to become one of the foremost engineering, science and mathematics colleges in the United States. Arriving in Claremont in 1956, Platt opened HMC’s doors in 1957 with seven faculty members and 48 students. Twenty years later when Platt stepped down, HMC claimed about 1,000 graduates and a national reputation as a top science and engineering college. Platt’s other commitments during his career included serving as a science advisor to UNESCO (United Nations Educational, Scientific, and Cultural Organization); board member and chair, ANSER (Analytic Services, Inc.); multiple roles, National Science Foundation; member, California’s Select Committee on Higher Education; trustee, China Foundation for the Promotion of Education and Culture; member, board on Science and Technology for International Development, National Academy of Sciences; trustee, Carnegie Foundation for the Advancement of Teaching; trustee, The Aerospace Corporation; director, Bell & Howell Corporation; director, Jacobs Engineering Corporation; director, Automobile Club of Southern California; and several assignments, President’s Science Advisory Committee. Platt also maintained membership in physics and engineering societies. Platt is survived by his wife Jean Ferguson Platt of Claremont, Calif., daughters Ann Platt Walker (Richard Walker) of La Jolla, Calif. and Elizabeth Platt Garrow (Thomas Garrow) of Willowbrook, Ill., and grandchildren Stephen Cavell Walker, Jay Bradbury Walker, Jennifer Elizabeth Garrow and Erin Alexander Garrow and their families. A private memorial will be held for the family, and a public celebration is planned for the fall. In lieu of flowers, the family suggests donations be sent to the Jean and Joe Platt Endowed Scholarship at Harvey Mudd College (301 Platt Blvd., Claremont, Calif. 91711) or to Claremont United Church of Christ (233 W. Harrison Ave., Claremont, Calif. 91711). Joseph Platt touched many lives with his brilliance, humor, music, and love of HMC. We invite you to reminisce about his life and share your personal memories on a memorial website.